Cover RV for Summer in Arizona? Question: We will be keeping our fifth wheel in southern Arizona for use in winter months only. Should we cover it to protect it from sun, birds, hail, etc? Answer: We welcome input from RVers with experience on this subject. We live fulltime in our RV, so do not have much use for a cover. We have stored our RV in Florida for 4 months April to August, and did not use a cover. Some of the points on our page at rv covers for winter storage area also relevant in the summer. 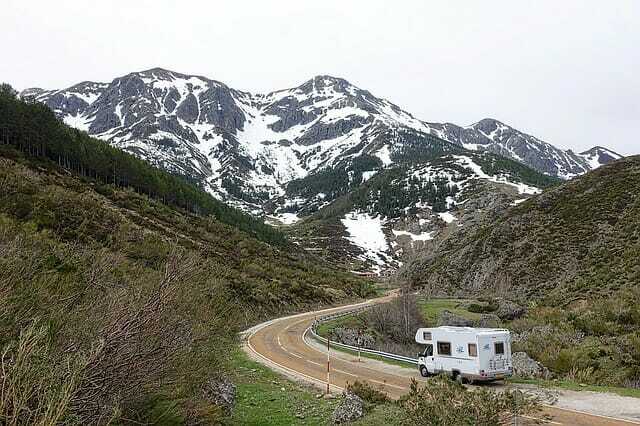 A few things to look for in a good RV cover is that it is breathable, non-abrasive and if possible, custom fit for your RV. We hope others will chime in with how they handle this matter. Comments for Cover RV for Summer in Arizona? Seems to me that leaving our fifth wheel in Arizona year round is like putting in an oven to bake. That just can’t be good for a rubber roof and all the various seals, etc. Build a permanent roof for it in our RV park. I’d appreciate opinions from others who have RV’s in an RV park in southern Arizona (Casa Grande, Phoenix, etc) Thanks! Thank you. I am well aware how brutal the summer sun and storms are in southern Arizona, so I agree. But I read many comments on other sites that are opposed to covers if the owner is not present to immediately correct any problems with the cover. We will be 2000 miles away from our RV in Arizona for about 8-9 months of the year. There seem to be 4 options: haul this 38′ 5th wheel home every year which is very expensive (ferry alone to Vancouver Island is $500 return then add gas) or 2. cover it 3. clean and re-seal roof frequently or as needed but that doesn’t help the rest of the RV or 4. pay $100 per month for covered storage for 8-9 months a year. Opinions please? Thank you! Depends on how much you love your RV. brutal. The sun can & will eat the finish up. that will pay for itself! Question: We are looking for COVERED RV STORAGE NEAR MCCARRAN AIRPORT IN LAS VEGAS. The storage space would be REQUIRED FOR APPROXIMATELY 2 1/2 MONTHS EACH YEAR. WE REQUIRE A SECURE SPACE AT LEAST NET 10 FEET WIDE AND (ideally)60 FEET LONG TO ACCOMMODATE A 38 FOOT DIESEL PUSHER WITH A TOW CAR. The tow car could possibly be placed in an adjacent covered area. Any suggestions or personal experiences and/or recommendations very much appreciated. Answer: We don’t know of anything, but are posting your request in case others have input or experience to share. Question: I recently purchased a new Flagstaff off road tent trailer. My question is if I buy a quality cover do I also need to buy a portable storage shed or is the cover a good enough protector against winter and weather? Answer: We offer this one up for other comments. Since we live in our RV fulltime, we haven’t had to address the issue of protecting the RV with a cover or via a shed. We assume you have to deal with cold, wet weather and salt air in your location. We suggest you try to get some input from other RVers who are familiar with what works best in those conditions. With no experience in covering an RV, we tend to think that if you are considering an enclosed shed, perhaps there is limited value added in having a cover too. But we would love to hear from others with some real experience with this subject. We live in western PA and during the winter months we just close it and cover it. During the summer we live in it from May until the end of Oct. We treat the canvas when we open and when we close we wash it and then treat it again. It seems to work pretty good; the canvas looks pretty good for being on a 2004 Fleetwood.